The place has a long stretch of white sand, cut by a section of gray sand, with numerous resorts dotting the beach front. May I know the directions on how to get to les caraibes resort? or is it the same with the directions stated above? hi, is it okay if punta na lang kami dun then dun na mismo kami hanap ng murang resort to stay, mas makakamura ba kami pag ganun? anonymous, at this time yes it's ok since it's off-peak. but i recommend calling them first or visiting their official websites for room rates and prices. hi! how do i get there if i bring my car? hi, is the entrance fee in already included in the accomodation rates for kubo? its like 7k? Hi, hAVE YOU BEEN TO AQUATICA RESORT? 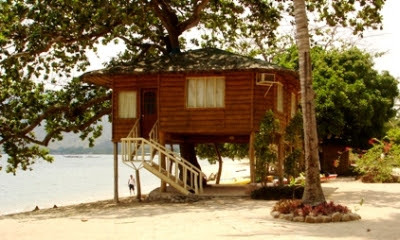 THEY SAY ITS IN LAIYA ALSO & VERY NICE PLACE? DO U HAVE THEIR NUMBER? 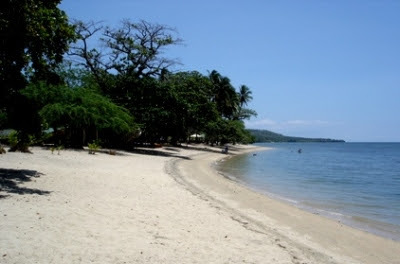 hello people,Laiya, san juan batangas is our haven to unwind and relax since we knew the place. laiya is much better than matabungkay and nasugbu. beach and water wise. actually, 3 yrs back, only a few resorts and few people knew about laiya. but now its getting to be crowded. Aquatica is the newest there and its NEW about 6 months old and category is 5 star i should say. rates and rooms wise. it has an infinity pool. stayed there last valentines day just for the occassion. 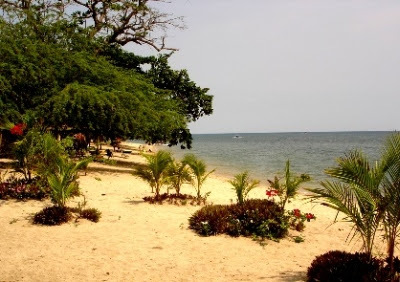 but my regular place to stay is BALAI because its peaceful and its beach front. HI guys, i've been to laiya recently... you may check out white cove resort (its right after kabayan resort) their smallest room with a/c is good for 4 pax (3,500/night). The resort is relatively new. very cozy and stylish (esp during evening). Its perfect for big groups and couples as well..there's no corkage fee if you bring in food or drinks. the food was good too..you'll really know its fresh. when i go there i saw a jetski maybe they are only displaying it but try to inform them if you ca use it. I will be glad to receive your comments about the article. "The Internet is mightier than the sword." Hi. 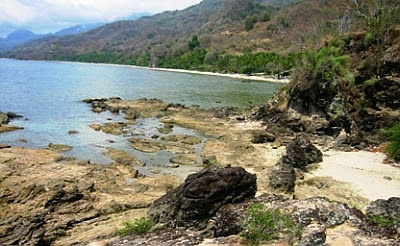 Can someone help me with the contact # of Pahiyas Resort in San Juan Batangas? This resort is beside Kabayan Beach Resort.Thanks. Hello guys, does anyone know the website for "Les Caraibes Beach Resort? or their contact number? I am in search for a nice, quiet beach resort with white sand, and yummy authentic filipino food. a cottage right in the waterfront. Can anyone suggest any other beach resort? Thank you, and best regards. Dude, why did you post this?? It's true, Laiya is a haven for those who know of it, and it's true that it's getting crowded. You should not have posted this man. Been to Acuatico resort last january and we had a wonderful time there with the whole family. Food was sumptuous and a lot of choices during breakfast buffet. The staff/crew are also very accomodating. They always greet you with a smile. Even the owner asked us if he can help with carrying our stuff when we checked out :) The infinity pool was a great place for some photo shooting and just relaxing while watching the sunset. where can we pitch a tent there? para p0 maka tipid.. k0nte lang kasi budget estudyante lang p0 kasi kami.. hehehe..its just like 500 t0 700 lang po yung budget namin per pax.. we rent a jeep and mga 8 to 10 lang p0 kaming lahat.. we need a contact number or just a simpLe tips f0r us tnx and g0dbLess..XD..
We went to Dakila Beach Resort In Laiya-Hugom. We wanted a Beach Front Cottage and found the nicest family Hotel-Style Cottage with Kitchen and Large Bedroom and a beautiful dining deck upstairs they call cottage #3. We were so suprised how much the cottage was, we thought it would cost alot more but surprisingly it was very much within our budget. If you are looking for a nice resort and want to keep your budget low with a large family I strongly urge you to check out these cottages. There were many to choose from and the staff was extremly friendly and helpful with what ever we needed they did provide for us. We only had to bring our own food and drink they supplies all the cook and diningware, there phone # is 09293797724. This is by far the best buy for the money and also the best kept secret in all of Laiya Resorts.